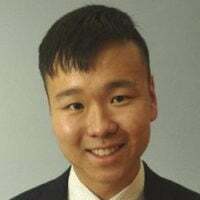 Kenny Xu is a senior mathematics major at Davidson College. You can follow his writing on race and culture on Facebook at @thekennethxu. Supreme Court Justice Clarence Thomas once recounted the time when his Juris Doctor degree from Yale Law School was dismissed from nearly every law firm he considered. The interviewers, believing him to be a beneficiary of Yale’s aggressive affirmative action policies, which de-emphasized LSAT scores and grades for black students, questioned him pointedly about his qualifications and “doubted I was as smart as my grades indicated,” Thomas wrote in his memoir. According to Thomas, Yale’s affirmative action quotas had relaxed the standards for his race so much that his achievements were stigmatized and not acknowledged by high society. After this experience, Thomas pasted a 15-cent sticker he got from a pack of cigarettes next to his Yale Law School degree, as an indication of the mistake he made going to Yale. Perhaps he may have somewhat understated the value of his elite law school education. But he did not understate the underlying problem facing gifted young minority students like him, and which remains to this day: that our educational culture values surface-level diversity to the extent that it actually undermines the well-being of those who are supposed to benefit from it. Stuart Taylor, author of “The Mismatch Effect,” writes that these racial balancing policies implemented at Harvard and other elite schools, while perhaps well-intentioned, can actually produce negative side effects on entire racial communities. According to Taylor’s research, black students who are “mismatched,” i.e. admitted into schools where they would not be considered had the school adopted a race-blind policy, are more than twice as likely to be found in the bottom 20 percent of the school as whites. Black law school graduates are four times as likely to fail bar exams as whites. They are less socially integrated on campus, and graduate at a lower rate than their white counterparts. The bad news gets worse after graduation. A 2013 study by economist Doug Williams found that black law school graduates with similar credentials to their white counterparts nevertheless perform worse on the bar exam. Even after limiting his study to only those law school graduates who actually took the bar exam, he discovered that black graduates were 31 percent less likely to pass the bar exam on the first try than white peers. >>> A Question for Harvard: Who Actually Wins From Racial Preferences? What happens when these students are matched into universities more concordant with their objective academic aptitudes? The science isn’t yet completely settled, but the initial evidence based on studies conducted in California (where racial preferences were outlawed in 1996) have been positive. At the University of California, Los Angeles, while the number of black and Hispanic applicants admitted to UCLA went down overall after 1996, the number of bachelor’s degrees awarded to black and Hispanic students remained the same, suggesting a higher graduation rate. The evidence, at the very least, doesn’t seem to suggest the destruction of black achievement in higher education prophesied by those who oppose California’s system. If blacks and Hispanics do not benefit from racial preferences, then why do universities like Harvard continue to fiercely resist eliminating them from the way they conduct admissions? Part of the reason is that diversity sells. Colleges care deeply about their brand and image, and one of the most effective ways to reach socially conscious prospective students’ (and their parents’) hearts and wallets is tout the surface-level diversity of their class. Surface-level diversity has become a money-making industry. Perhaps the greatest proof of this is the sharp increase in the hiring of diversity officers at major colleges across the United States. Diversity officers, responsible for maintaining certain diversity protocols on campus, are being hired in droves. As just one example, the University of California, Berkeley’s diversity bureaucracy is already at 175 employees. Many of these diversity bureaucrats are paid like kings—the head diversity officer at the University of Michigan is paid $375,000 per year, according to The Economist. There appears to be no limit to the amount that colleges are willing to spend to boost their surface-level diversity credentials. At the same time, however, many of these administrators sincerely believe that what they are doing is right. It is necessary to racially balance the composition of our student body, so the logic goes, because a diverse class is a healthy one. But these good intentions do not automatically translate into real-world success for minority students. In fact, they can stunt their careers, force them into less rigorous majors, and negatively impact their self-esteem. 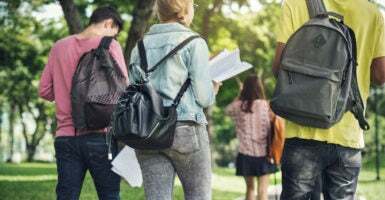 When students are admitted to college for reasons other than their own merit, they will soon find themselves struggling to cope with expectations they were not prepared for. The school may score its diversity points, but minority students will often be ill-served. Every college wants to brag about diversity. Until we reckon with the consequences of affirmative action, however, those boasts will ring hollow. Minority students deserve to be served according to their merit rather than used as currency in the diversity game.